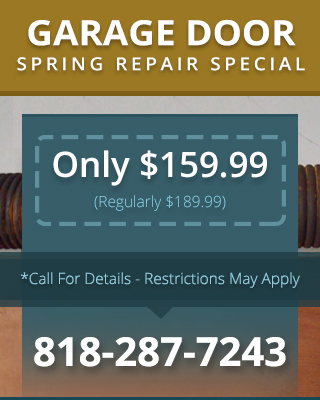 Torn Between Garage Door Repair in Canoga Park CA and Garage Door Replacement? You can rely on the pros from Carroll Garage Doors to provide you with honest advice about your options when you call us regarding a garage door problem. Our technicians will thoroughly examine your garage door before making a recommendation, so you know our advice about garage door repair in Canoga Park CA versus replacement will be based on solid facts about your unique situation.